Our LNG Canada joint venture (Shell interest 40%) and Shell Canada's Groundbirch asset in British Columbia, Canada, illustrate our firm belief that the key to success is engaging constructively with local communities and contributing to their economic development. We have been operating in Canada since 1911. Today, we are working with our partners to responsibly deliver natural gas by keeping safety, communities and the environment at the heart of a major new liquefied natural gas (LNG) project and connected business activities. In October, 2018, LNG Canada, the first large-scale LNG export project in the country, moved into its construction phase. LNG Canada is a non-operated joint venture (JV) between Shell, Petronas, PetroChina, Mitsubishi and Korea Gas. Gas from north-eastern British Columbia will be transported through the planned third-party 670-kilometre Coastal GasLink pipeline. It will then be liquefied for export from the community of Kitimat on the west coast. Shell secondees, who make up around 75% of LNG Canada's employees, are working in a range of areas, including in technical, financial and commercial roles. Safety is central to delivering the project, with every employee and contractor required to meet Shell’s standards, including following our 12 Life-Saving Rules. The JV partners have also agreed to adopt our Health, Safety, Security, Environment and Social Performance Control Framework. The liquefaction plant at Kitimat in British Columbia is within the traditional territory of the Haisla First Nation. It will be built on an industrial site near an existing port, transport links and power supplies. 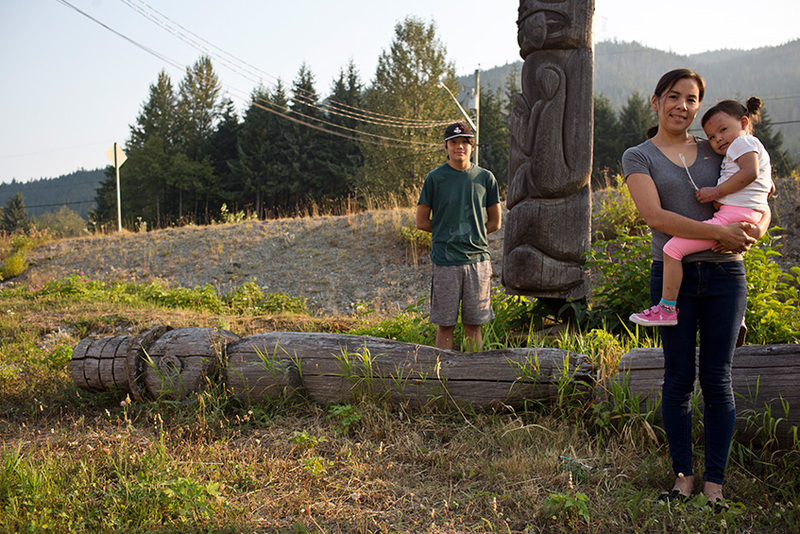 Since 2012, the LNG Canada team has worked closely with local communities, First Nations and governments to better understand how the project could help achieve their economic, environmental and community aspirations. The team’s efforts led to strong support from key stakeholders, for example, from 25 elected First Nations bands along the pipeline route, at the facility and along the shipping route. The LNG Canada team has worked closely with local communities, First Nations and governments to better understand how the project could help achieve their economic, environmental and community aspirations. Each year, LNG Canada invests in a range of community programmes. This investment includes support for a community foundation and a training fund designed to support apprenticeships and industry training, with a focus on women. Building the facility and pipeline is expected to create 10,000 jobs. We expect around 20,000 people will have worked in some way for LNG Canada by 2025. Many of the local opportunities will come in the form of contracts ranging from civil work, such as laying foundations, to operating and maintaining the facilities. Avoiding impacts on biodiversity and ecosystem services is a central aim of LNG Canada. Where this is not possible, the aim is to minimise impact and help restore impacted habitats or ecosystems. Each JV participant will be responsible for providing its own natural gas supply and will individually market its share of LNG. 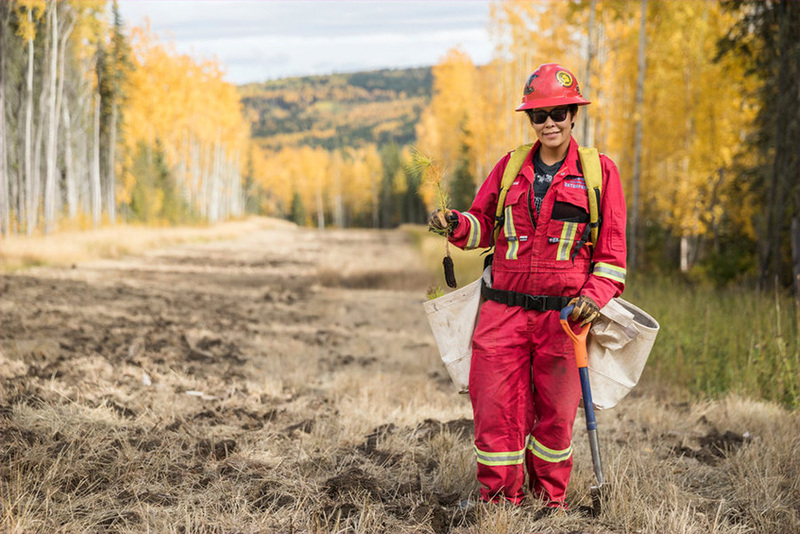 Shell Canada’s Groundbirch operations in north-east British Columbia are positioned to provide the majority of Shell’s equity share of natural gas from more than 500 producing wells and four natural gas processing plants. At Groundbirch, we work with local communities to minimise our environmental impact. Since 2014, we have reclaimed 60 hectares to their natural landscape, in part through a collaboration with the local Twin Sisters native plants nursery. Twin Sisters, established by the Saulteau First Nations and West Moberly First Nations, enables us to reclaim the land using local traditional knowledge and native plant species. Restoring the habitat also contributes to the success of conservation efforts by encouraging natural wildlife migration and behaviour. At Groundbirch, we work with local communities to reclaim land to its natural landscape. As part of its design, LNG Canada developed a series of environmental management plans to avoid, manage or mitigate potential effects on the environment. The project’s wetland compensation plan includes establishing 17 hectares of wetlands to help balance the project's physical presence. The plan includes hiring an environmental specialist contractor to restore, enhance or create another 65 hectares of wetlands. LNG Canada also plans to offset project-related impact on fish and fish habitats by maintaining or increasing the availability and quality of rearing, migratory and winter habitats for the local salmon, trout, and char populations. LNG Canada’s export plant has been designed to achieve the lowest carbon intensity of any large-scale export facility operating in the world today, achieved through a combination of using renewable hydropower and highly efficient gas turbines. It also supports Shell’s ambition to reduce the Net Carbon Footprint of the energy products it sells. Groundbirch has already reduced greenhouse gas emissions by about 25% over the past three years. This result is due to a voluntary leak detection and repair programme that uses methods such as infrared cameras to identify and repair fugitive methane leaks. We are also testing several methane detection technologies to provide real-time monitoring. By electrifying its main gas plants in 2016, Groundbirch reduced emissions equal to removing about 37,500 cars from the road each year. We have also installed specially-designed multi-well pads with electric actuator technology to significantly reduce methane emissions. It now takes around 700-1,000 watts to run these well pads, about the same as powering a hair dryer. By using natural fuel gas instead of diesel on rigs, we have cut greenhouse gas emissions in our drilling and completions operations by 28% since 2014. At the end of 2018, Shell and six other Canadian natural gas producers came together to announce $3 million in funding through the Natural Gas Innovation Fund (NGIF) to advance clean technology solutions to reduce greenhouse gas emissions in natural gas production. We aim to minimise our use of fresh water and, wherever possible, recycle and reuse water from our activities. 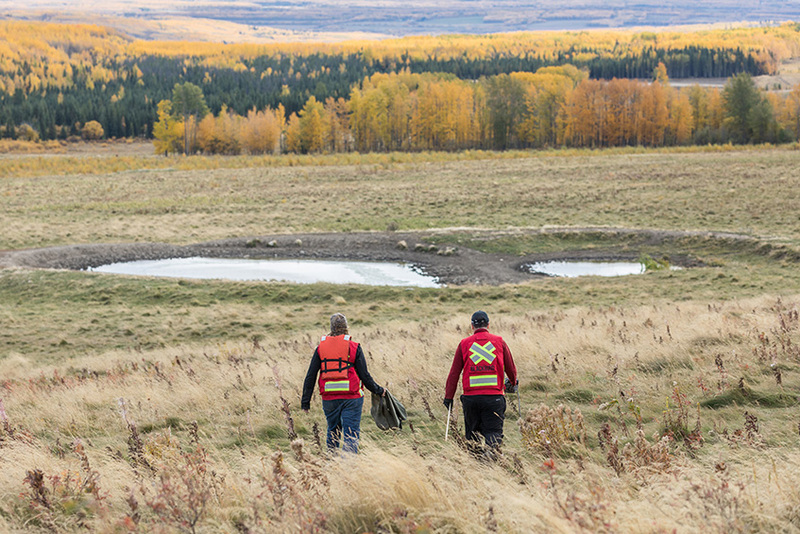 In 2012, Shell collaborated with the City of Dawson Creek to build a reclaimed water facility. The Dawson Creek Reclaimed Water Project virtually eliminated the need to draw on fresh water for our Groundbirch operation. The project also treats a volume of municipal waste water that was previously released into the Dawson Creek to a standard suitable for industrial and municipal uses. In 2018, we started testing a technology to dehydrate waste water and evaporate clean water back into the hydrologic cycle, reducing waste water volumes for disposal. Today, around 97% of the water used in our Groundbirch operations is recycled. In addition, water pipelines built throughout our field help us distribute water between our Groundbirch sites, minimise trucks on the road, reduce emissions, noise and dust, and improve road safety. Workers prepare to sample water in pasture land near Groundbirch operations.